Singapore Math is a teaching method created in a small island called Singapore in South Asia. 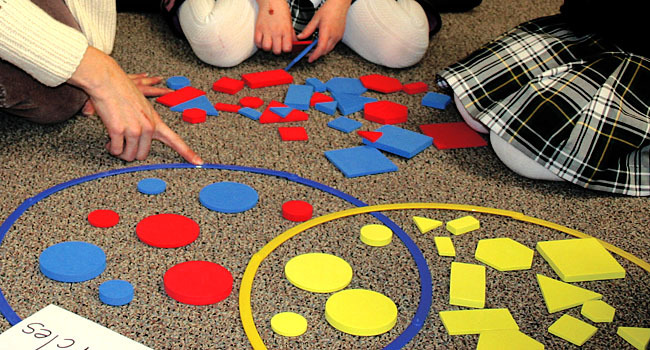 This curriculum helps elementary students grasp a deeper understanding of math concepts by allowing students to learn math with different styles and formats. Not all students learn math the same way so this method uses a variety of ways to drill math and numerical concepts. Singapore performed top 3 in the world on 4th grade and 8th grade tests on Trends in International Math and Science Study (TIMSS). United States and other countries started implementing Singapore Math in some charter schools and homeschool curriculums. What’s so good about Singapore Math? Singapore Math uses a 3 step learning process which increases elementary student’s mastery of the material. Step 1: Concrete- Concrete objects such as dice, chips, and clips are used to allow hands-on-learning. Step 2: Pictorial- Cards, pictures and bar models are used as visual aids to help students learn specific quantities and perform addition, subtraction, multiplication and division. Step 3: Abstract- Numbers and symbols are introduced. This method does not use memorization. The idea is that a few concepts are covered and taught using the 3 step method via detailed instruction, problem-solving and visual or hands-on aids to build a solid math foundation. Once a solid foundation is built, students are able to solve complex problems more quickly and efficiently. Some students tend to outperform their same age peers. Having a deeper understanding of the math concepts prevents students from being lost with harder problems and builds their confidence. Overall, Singapore Math has good success rate and good reviews. It is believed to help any kind of student even those with learning difficulties. Phoenix Tutoring and Test Prep provides one-on-one tutoring for Singapore Math in Phoenix, Scottsdale, Tempe, Chandler, Gilbert, Mesa, and Paradise Valley. Some of our tutors have years of experience teaching Singapore Math. There are several books available on Amazon for Singapore Math. If you want your child to gain a deeper understanding of the math concepts get started right away. It is a great way to facilitate their learning. Summer is a good time to plan Singapore Math Tutoring especially if your child is in the elementary age. Please Call or Text 773-386-3184 if you are interested in our tutoring services. You can also visit our website www.phxtutoring.com.